This Fall, students in Roanoke City, Virginia, schools will undergo testing for color blindness, thanks to a local mother who states that Color Vision Deficiency could be a real problem in the classroom. 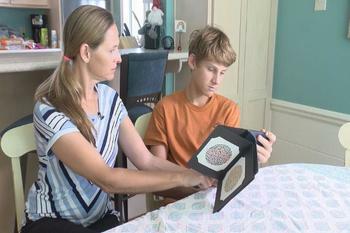 Elizabeth Martin’s eldest son is diagnosed with color blindness. The condition makes doing classroom work a real challenge. "When we were growing up, everything was black and white so it wasn't as much of an issue," Martin said. "But as the classroom has become more colorful, it becomes more important to try to make it less colorful for kids with color vision deficiency." Please contact SDCB if you or your loved one is struggling with vision loss. We offer many programs that can help.